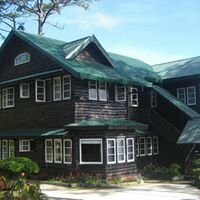 The center, with special facilities such as picture windows, fireplaces, hot and cold water, car park and coffee nooks, has three guesthouses which can accommodate 100 persons, and three dormitory-type rooms which can meet the needs of 50. It has a conference hall, good for 150, with a secretariat room and sound system. The grounds offer an ampitheater, a campfire area and an activity area. The dining hall, furnished according to request, can be used by 100 persons.